While evidence of consumer fraud abuse piles up against tech companies, many experts strongly feel that the Federal Trade Commission (FTC) has been too complicit in the process. In particular, while a number of consumer advocates and lawmakers have called for the agency to take action against Facebook, specifically–arguing that it has blatantly violated a number of consumer decrees and regulations–the FTC simply “drafted a memo” discussing the “prospect” of disciplining the company in response, not taking any action whatsoever. The consumer protection agency is now facing increasing scrutiny for what many call a systematic failure to police Silicon Valley giants and their accumulation of personal data. These companies have unquestionably collected more personal information about consumers than any other companies in history. Unlike many other industrialized nations, the U.S. unfortunately does not have a basic consumer privacy law in place. Instead, the FTC serves as the sole regulator, relying on rules against deceptive trade practices. 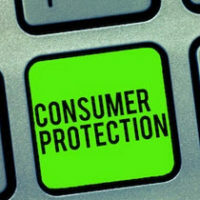 Meanwhile, consumers in states like Florida are entitled to certain legal protections under federal and state regulations, and have the ability to work with consumer fraud attorneys to obtain financial recovery. Still, many feel that, as the sole federal regulator, the FTC has been anything but a diligent watchdog. Facebook not only faces potential violations over the Cambridge Analytica incident, but other privacy breaches, as well as direct deals the company has made with companies such as Amazon, Netflix, and others to share data. Others who have defended the agency have pointed out that its enabling legislation provides it with only narrow powers and limited authority when it comes to protecting privacy. It is also arguably impaired by its small size: with only approximately 1,000 employees, the agency reportedly has to “borrow” tech experts from other agencies, its chief technologist position is still vacant, and its attorneys are often largely outnumbered by those working for the tech giants it has to take on. Many have also pointed out that the agency needs greater regulatory authority and additional resources in order to keep up with the tech giants. Others have also pointed out that the agency has a history of being stifled by Congress, leaving some of the agency attorneys reluctant to take on politically sensitive cases. What has reportedly resulted is an “institutional culture of deference;” employees who see themselves as dealmakers, not consumer protection police. At Moran, Sanchy & Associates, our top-related Florida consumer fraud attorneys have years of experience fighting for the financial interests and legal rights of consumers throughout the state. If you were the victim of consumer fraud, contact our legal team today to discuss your options.